Raw food diets are a hot topic among dog lovers. Some people feel they are not a safe way to feed their dog; others feel it is the only real option for a dog to reach optimum health. In this interview with veterinary naturopath Kim Bloomer, she discusses her expert opinion on raw food diets and how they can keep your dog healthy. LoveToKnow (LTK): Why is raw food best for dogs?Kim Bloomer (KB): This is simple - because dogs are opportunistic scavenger carnivores. Their entire anatomy and physiology is designed to eat a raw, carnivorous diet. LTK: What are some common misconceptions about raw food diets? KB: Oh there are a lot of misconceptions, especially by those who would rather pet owners not know that there is a natural way to feed their pets. I recently wrote an article about some of those misconceptions (Removing the Fears Associated with Raw Feeding). Some of the misconceptions include things such as "they'll get parasites" or "there will be a bacteria problem" or possibly "they will choke." What people fail to realize is that all those things can and do happen with processed commercial foods, particularly kibble. And while those things can happen with raw feeding, there are some very simple solutions to counter all of those misplaced concerns. Something to keep in mind about dogs is that they are scavenger animals designed to eat just like any other wild scavenger animal. Things that would be unthinkable for us to eat are simply part of a dog's natural diet. After all, many dogs eat poop with no problem, but it sure isn't something we'd want to do! This leads to the primary problem, and that is that those afraid to feed a raw diet are most likely basing it all on their own likes or dislikes or their own nutritional needs or human limitations, since we are not scavenger animals. Our dogs are really buzzards on four legs with fur. The pet food manufacturers certainly aren't catering to the needs of our pets, rather they are catering to our needs because we're the ones who purchase the food. No one wants to think of their dogs as house wolves or their cats as house lions, but that is exactly what they are. So to reiterate, most of the misconceptions are merely misplaced fear-based notions from a human, not a canine, perspective. LTK: What are some problems with feeding kibble? KB: My colleague, Dr. Jeannie Thomason puts it best when she says, "Kibble is kibble is kibble no matter what label is on the package." She wrote a great article that explains in detail all that is wrong with kibble. Most kibble include grains that dogs simply do not have the proper enzymes to digest adding to problems in their long-term health that begin to present initially with allergies, skin problems and so on. That's one of many things wrong with kibble - not to mention it is so overcooked as to not have any nutrients of any value left. Let's not count the synthetic sprayed on version of "nutrients" put on kibble as compared to real nutrients dogs can actually digest found only in the raw version of food. Also, dogs do not come equipped with grinding molars needed for eating and digesting grains and other things such as vegetables, ingredients that are typically found in the majority in kibble. I always wonder how wild dogs, wolves and coyotes eating grasses or eating parts of the rumen got equated to domestic dogs needing vegetables - they get the phytonutrients they need from the flesh of the animals they consume. We explain it in detail on the website. I need to add one last comment here. Balanced and complete does not exist in reality in every single meal - not for us and not for our animals. That has been a great marketing tactic, but in truth it doesn't exist. Balance comes over time, eating what our bodies need to thrive with variety. The same holds true for our pets. LTK: What should be included in a raw food diet and what should be avoided? KB: Quite simply, a raw meaty bone diet is what should be fed. The best description of that diet is found in Dr. Tom Lonsdale's book Work Wonders: Feed Your Dog Raw Meaty Bones. LTK: How do you know how much to feed with raw food? KB: Again, that is simple and yet individual to each dog. We are all unique, and so are they. Each dog will have different tastes, likes and dislikes just like us. So we need to learn about those needs and know our dog. I typically tell my clients to feed approximately two to three percent of their dog's total weight daily (once per day) in a 1:2 bone to meat ratio. 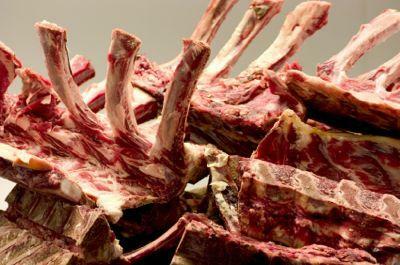 You need the raw bone in there with the meat so as to not upset the natural calcium/phosphorus balance. Dr. Lonsdale really explains this in his book. I have also put together an entire page on my website that includes links to learning websites, videos, audios, etc. to help people who prefer to learn on their own. Otherwise, it is advisable to set up a consultation with a veterinary naturopath for guidance. LTK: What tips can you offer to keep dogs healthy naturally? KB: Start by feeding your dog a species appropriate raw diet. Don't be afraid because I can assure you your dogs won't be afraid. In fact, they will look at you in awe wondering what brought about this wonderful new change for them. If you don't know what to feed or how to begin, get a consultation with a veterinary naturopath and start your dog off on the right paw. It will save you a lot of money down the road and more than likely a lot of heartache as well. KB: Maybe much of what I've shared with your readers is new to them. And it may be fearful at first, but I would encourage everyone to read and do their due diligence and learn. After all, we have invited our dogs into our lives and homes, so the least we can do is learn about them and their true needs. They love us in spite of ourselves, so why not take the little extra time to put our own needs and maybe even misconceptions aside and open ourselves to all the possibilities? Let me share two short stories of two people who did exactly what I am challenging and encouraging your readers to do. One is about a good friend of mine who finally decided to obtain a consultation with me because her dogs, now older, were no longer well. She thought it was enough to do what she'd always done - kibble, vaccinate, etc. But she discovered in their older years it wasn't working. She did everything she learned in the consultation. Within three weeks her dogs were energetic again and had shiny coats and clean, white teeth among just a few of the improvements she has seen! Her vet had told her to have dentals done but she was able to avoid the expense and the unnecessary anesthesia by merely switching her dogs' diet. Not only that, but she has been slowly weaning her dogs off of their medications, with the guidance of her vet, because both dogs are improving almost daily in their health. In my second story, a young man I met at a business luncheon heard that I was a veterinary naturopath. He came over to ask me a few questions about his dog. The dog had kennel cough, and the traditional treatment wasn't working. He asked about an alternative, and I made a few suggestions including switching his dog's diet to a raw one. Not only did he do all I suggested, but he implemented the diet by reading my entire raw feeding page. His dog was well within five days of switching to the natural protocol and now continues to thrive. This man has gone a step further - he has become an advocate of raw feeding and has gotten several of his friends to switch their dogs. It's exciting to me see this movement allowing dogs to become all they were meant to be and then some! These two people were ready to relinquish any fears and do what it took to get their dogs well. They took action, and now their dogs are reaping the benefits of their decision. LoveToKnow would like to thank Dr. Kim Bloomer for sharing her advice on feeding raw and how it helps dogs to be healthier. 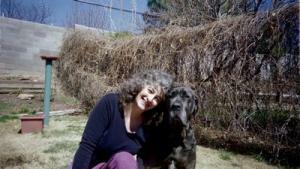 For more information, visit her website, Aspenbloom Pet Care.